Collectively, they’re the youngest, Palestinian-American, Somali-American, Muslim, and LGBTQ. They’re also included among the record number of women serving in the United States Congress and are shaking things up with a resounding message—the old-guard patriarchy is over. 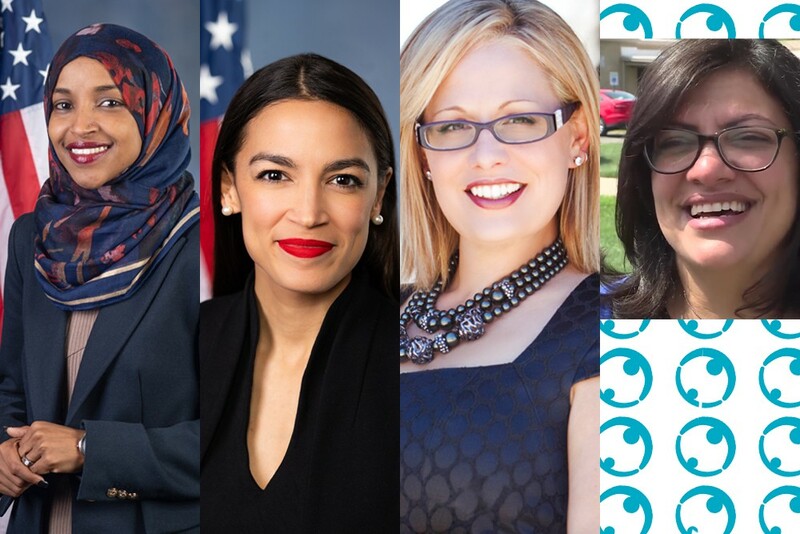 Leading the charge are Alexandria Ocasio-Cortez, Rashida Tlaib, Ilhan Omar, and Kyrsten Sinema. And trust, they did not come to play. Representative Ocasio-Cortez, the youngest elected to Congress, has already underscored the disparity in health-care costs. She revealed that as a waitress, she paid more than twice what she will as a congresswoman for health insurance. She’s also proposed a plan that would set a tax up to 70% on annual incomes over $10 million, which will fund her Green New Deal. A staunch opponent of Donald Trump’s policies, Palestinian-American representative Tlaib has vowed to pursue his impeachment. She also supports a $15-per-hour minimum wage, debt-free college education, and universal Medicare. Tlaib is a single mom raising two sons, ages 13 and seven. Both accompanied her to the swearing-in of the 116th Congress, where C-SPAN aired them “dabbing” after she delivered her vote for House Speaker Nancy Pelosi. Representative Omar, wearing a hijab during her swearing-in ceremony, challenged the long-standing rule banning headwear in Congress. In November, it will be amended to allow for religious and medical-related head apparel. It’s the image of Omar, a Somali-American, walking arm-in-arm with her father through the same airport in which they arrived in the United States as refugees, that is etched in our minds. We see them and know what is possible, what truly makes America great. Kyrsten Sinema became the first Democrat to be elected senator in Arizona since 1976, and the first woman to ever hold the office. She is also the first openly bisexual woman to serve. Although aligned with the most conservative of Democrats while serving in the House of Representatives, her constituents remain hopeful that her senatorial victory will act as a check on the current administration. These women of the 2019 congressional freshman class are in the building with bold ideas and big voices. We couldn’t possibly be any more excited for all that is to come.